Pitara Reusable Roach – for the perfect smoke! Anyone who rolls their own cigarettes or cones knows that having the right filter not only provides a smooth smoke but also acts as a rolling aid too. The Pitara Reusable Roach & Rolling Aid is the crème de la crème of filters and is available in classic oak, elegant rosewood or refined glass. Gone are the days of tearing up your Rizla paper box to make ill-fitting filters that don’t actually do anything, simple take your Pitara Reusable Roach roll your cigarette tightly around it and be amazed at your perfectly rolled cigarette. Each Pitara Reusable Roach comes with a handy cleaning tool and full instructions; they are available now for £4.99 each and will last a lifetime. Hand rolling cigarettes has become more popular over the past few years as people look for a cheaper way to smoke, but beginners can find it tough to get a good roll. Thankfully there are lots of products on the market to help including the Pitara Reusable Roach & Rolling Aid. This reusable roach is a great accessory for any hand roller to have and creates a good looking cone shape every time. Simply roll your rolling paper tightly around the specially shaped roach to produce a nice cone shape then just fill it with your favourite tobacco and enjoy. The Pitara Reusable Roach & Rolling Aid is available in three different types, classic oak, elegant rosewood and refined glass and start from just £4.99 each. Notes Roach – roll your cigarettes up in style! Roaches are an essential item to have when you’re rolling your own cigarettes as they stop unwanted debris from going into your mouth. 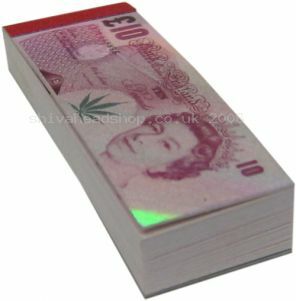 Notes Roach are a cool addition to your cigarettes and as the name suggests they are printed like money. Available in Pounds, Dollars and Euros, these roaches look so real that your friends will be thinking that you’re burning real money. Each pack of roaches contains 40 roaches that are big enough for kingsize cigarettes and even blunts. If Notes Roach isn’t your thing then check out the extensive range of roaches on Shiva Head Shop. Everything is covered here from reusable brass ones to paper ones and even filter tips. Royal Blunts EZ Roll Tubes – try something new today! Royal Blunts EZ Roll Tubes are now on a special buy 5, get 1 free offer at Shiva, so there is no excuse not to stock up on these great flavoured blunts. Flavours include blueberry, cherry vanilla, Jamaican rum and strawberry, come pre-curled for quick rolling and each pack contains 3 blunts. Royal Blunts EZ Roll Tubes are super easy to roll, simply uncurl the blunt, fill with your chosen herbal blends, lick the gummed seal and watch it seal itself together, sweet! 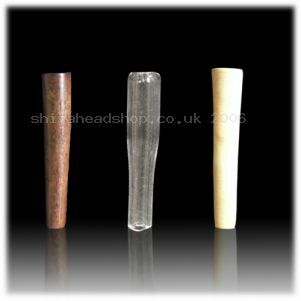 Why not buy some reusable tip tube roaches to complete you custom flavoured blunts; tip tubes can be used up to 10 times each, making them an inexpensive smoking accessory to any avid smoker. Please note – Royal Blunts EZ Roll Tubes can only be sold to over 18’s. Try something new today with some blunts! Made from tobacco leafs and containing a range of tasty flavours, blunts are a great addition to your smoking routine. EZ Roll Blunt Tubes are super easy to use and come in a range of mouth-watering flavours including Jamaican rum, cherry vanilla, purple haze and mango. To use simply uncurl the blunt, fill it with your herbal mixture, lick along the edge of the blunt and it will seal itself back up. You can now sit back and relax with a smooth and long lasting smoke. Why not try Tip Tube roaches in your blunts to give you great filtering and a perfectly rolled smoke. EZ Roll Blunt Tubes are available now for £1.49 each or buy 5 and get 1 free, so order your today!